Don't get choked up if your tried and true machine makes a sputter and ceases to function. 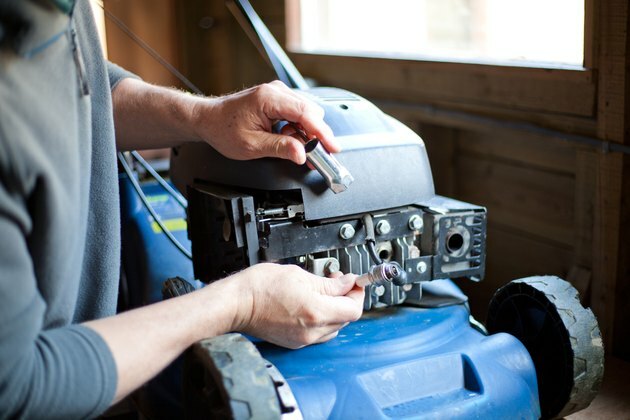 A lawn mower that makes a lot of noise without completing the job it was built to do may just need some of your detailed attention to get it back to its full power potential. 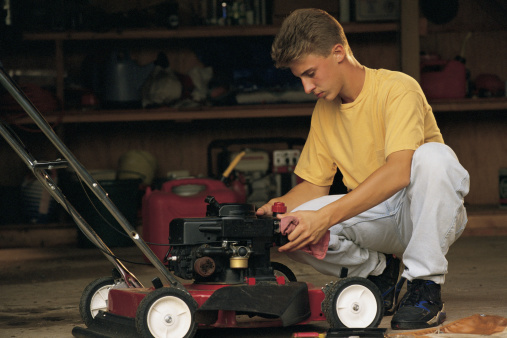 Cleaning a lawn mower fuel line is a task that should be completed regularly regardless of whether or not the machine is making noises that it shouldn't. If you aren't familiar with the underside of your lawn mower, you should be. The lawn mower that has a gas tank mounted below the height of the carburetor has a fuel pump to drive the gas through the fuel line. But make sure to read the owner's manual for the lawn mower. Most manuals can easily be found online. It's important to familiarize yourself with the moving sections of your unit before you are knee deep in parts and potential fuel leaks. Before you begin any maintenance, make sure the machine is unplugged or otherwise turned off. Remove the spark plug lead, and make sure it is secured from coming in contact with the plug. Locate the fuel valve if the lawn mower has one, and turn it to the "off" position. A fuel valve is often located at the base of the gas tank where the fuel line meets with the body of the tank. If there is no fuel valve, clamp the fuel line to keep the gas from flowing. Empty the line after you remove the mounting screws and pump from the carburetor. If the tank has any hairline cracks or is damaged in any way, don't attempt to repair it. A compromised tank needs to be replaced to avoid any serious injury the next time the lawn mower is in use. Check the line with a flashlight to ensure it isn't clogged with debris or has any obvious holes or cracks. Replace any lines that are too far gone to use again. It's easier to replace a line that is questionable than it is an entire engine. Check the filters and vents for any dust, grass, small rocks or wood chips that may have lodged in these often overlooked but important parts. When the gas tank is nearly empty, a fuel injector cleaner can finish the job of cleaning out the system.